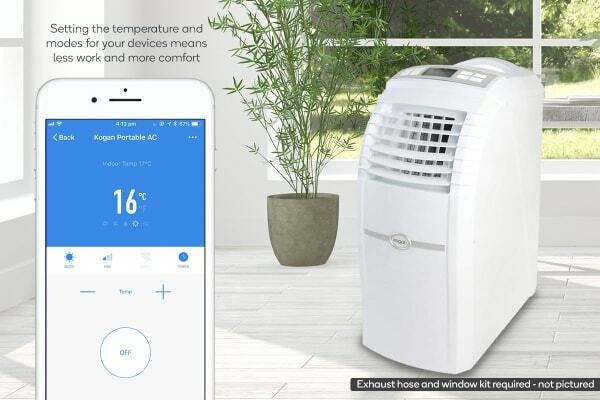 the Kogan SmarterHome™ 5.2kW Portable Smart Air Conditioner makes efficient heating and cooling of large areas a breeze – and you can control it right from your smartphone! 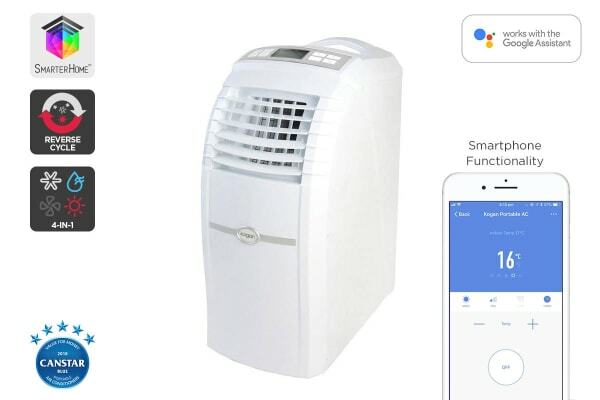 A fantastic solution for efficiently heating and cooling large spaces, connect the Kogan SmarterHome™ 18,000BTU Portable Smart Air Conditioner to your home Wi-Fi network and control it remotely via the free Kogan SmarterHome™ app. Control your Smart Home Air Conditioner from the LED display, remote, or the free Kogan SmarterHome™ App. You can even connect to your Google Home or Amazon Echo to command using only your voice. Put a dent in your energy bills with more seamless control over the way that your air con runs. Schedule your air con to turn on or off at the tap of a button using the app, or set an ideal temperature for your home and the Smart Home Air Conditioner will automatically heat or cool accordingly to maintain that temperature. That way your air con is never running when it doesn’t need to be. Forget to turn it off before you left the house? Set the timer but then decided to head out for dinner instead? Simply check the app and switch it off from wherever you are. No more wasted dollars. 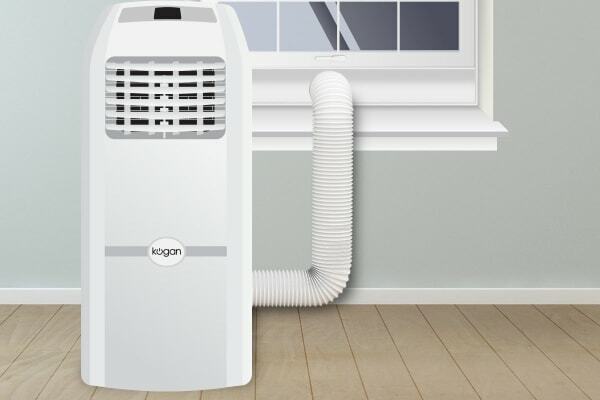 As well as saving energy, the Kogan SmarterHome™ 5.2kW Portable Smart Air Conditioner also reuses water generated through operating the cooling function, making it a winner for those seeking economical cooling that packs a punch in power. For safety reasons, we recommend exercising caution and limiting the amount of time your Smart Air Conditioner or any electrical device in your home is left switched on and unattended.